We helped these lucky winners win their dream prizes. And if you'd like to read about the BEST EVER wins that PrizeFinder members have had, check out all the fabulous comments on this blog post! Share your story for your chance to win a £50 giftcard! 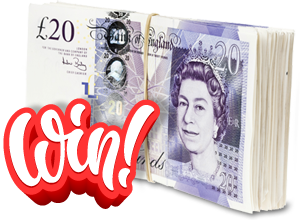 If you've won a prize through ThePrizeFinder.com tell us all about your win along with a photo and you could win a £50 gift voucher! View the terms and conditions here. It has always been my dream since a child to visit Asia, particularly Thailand. I was lucky enough to win a competition with Tui with a prize of £2500. I looked at holidays in Europe that we could pay for with the money and then realised that this was an opportunity to make my dream come true! I booked a holiday to Krabi in Thailand for myself, my husband and our teenage daughter. We visited the Phi Phi islands by speedboat, the Hong islands and Maya where The Beach was filmed. We did scuba diving in a beautiful warm sea and it completely exceeded all of my expectations. I feel incredibly lucky! Just won my second prize through Prizefinder. A Pure Lakes Bath Set including shower gel, hand and body lotion, massage and bath oil and skin repair bar with beeswax, rose and geranium. They are all natural products, handmade in the Lake District and they came nicely packaged in a white box with tissue. I am thinking that it will make a nice present for my sister who is very environmentally conscious and also it is not tested on animals and she is a vegetarian and animal lover. Good luck to all you fellow compers and hope 2019 is a good year. I entered one of the competitions uploaded on the prize finder for a web site called my offers. After entering to win a car (still got my fingers crossed) I stumbled across another competition on the website to win The Greatest Showman on DVD and CD. To my delight I won and after my daughter watched it, it's safe to say she is now a huge fan too! The CD is now in her bedroom and is played every day and the film at least once a week! It might not be the car I initially entered to win but it sure has brought a lot of joy! March has to be my lucky month. I received an email at the beginning of the month, telling me that I have won some laundry detergent. I was over the moon when my prize arrived, it was a box of Bold 2in1 Pearls from Procter and Gamble. Inside the box, there were 29 washes Pearls with Lotus and water Lily fragrant. It was absolutely fantastic. I love the bold fragrant and it clean my clothes too. To enter the competition I had to write a review about Bold detergent. My name went into the draw and it got drawn out. This is my only prize I won this year. Hopefully there are a lot more wins later on in the year. I always love winning washing detergent because I can always find a use for it. My family will have some nice clean and fresh clothes to wear for the whole month. I won a place to test lots of beauty products for fabulous magazine in London. There was lovely food and drink and a huge amount of products to try and test followed by makeovers, blow-dry, manicures and best of all a set of false eyelashes. I asked when I confirmed my place of there was space to bring my daughter who is make up mad and the day before I got an email saying she could come too. We had a brilliant girly day together and left with a goody bag filled with almost £400 of products each to take home. It was a brilliant prize to share with my daughter. I entered a local shopping centre competition to win a whole load of goodies - and won! Amongst the prize was a free blowdry (fab hair! ), M&S voucher (we spent it on food) and some lovely jewellery. But the best part of the prize was a box of 12 Krispy Kreme Valentines doughnuts. It gets EVEN BETTER though - as the doughnuts were being discontinued, I got given an extra box. So 24 doughnuts - I was very popular with friends and family that weekend! The doughnuts were absolutely delicious, although I spent the next week in the gym...! I have won a lovely selection of magnesium products with Top Sante. The value is £52 and I was really pleased as I do use these products but I only buy one item at a time because of the cost. It’s lovely to have such a choice of products to use! I am really motivated to keep comping now! I was so excited when I got the email telling me I had won and have entered a lot more comps. This is the second prize I have won this year (I only started comping in January 2019). The first was some dog food that my dogs wouldn’t eat which was very disappointing lol 😂.